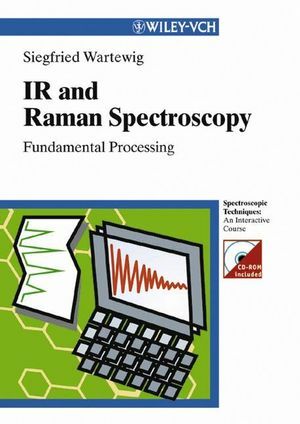 An introduction to practical IR and Raman spectroscopy. This interactive course shows newcomers the decisive and central steps in IR and Raman spectroscopy, together with their processing. Using the latest version of the packaged BRUKER software, users can manipulate the data to meet their own special requirements for further evaluation, allowing them to do without automatic processing or expert help. Furthermore, the CD-ROM contains a comprehensive library of spectra for comparing data results with model compounds. Unique in its successful interplay of text, software and pre-prepared data.